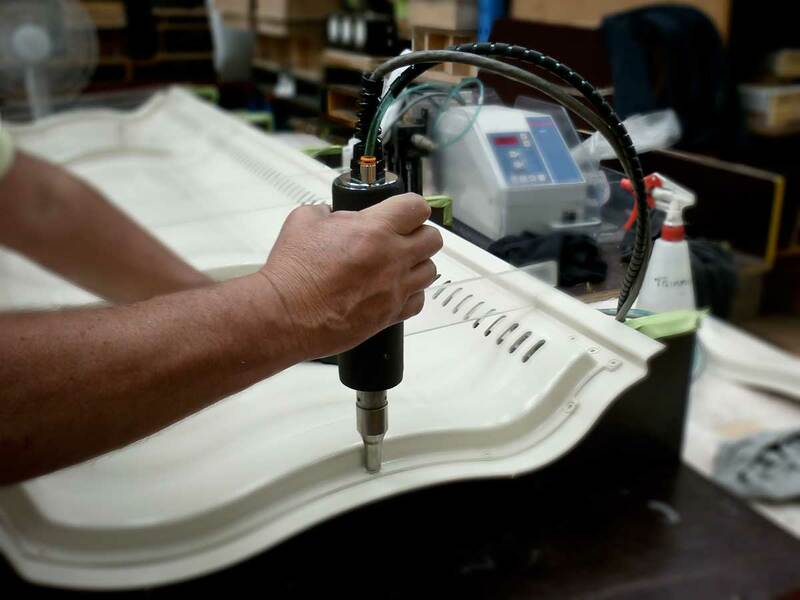 After parts have been vacuum formed or CNC trimmed there are a number of auxiliary plastic fabrication services that are often required to pull your product together. Below are a list of these services we offer. Remember though our experienced team at Warringah Plastics can provide expert advice on which services your product requires. Please get in touch with us so we can work out your specific requirements. 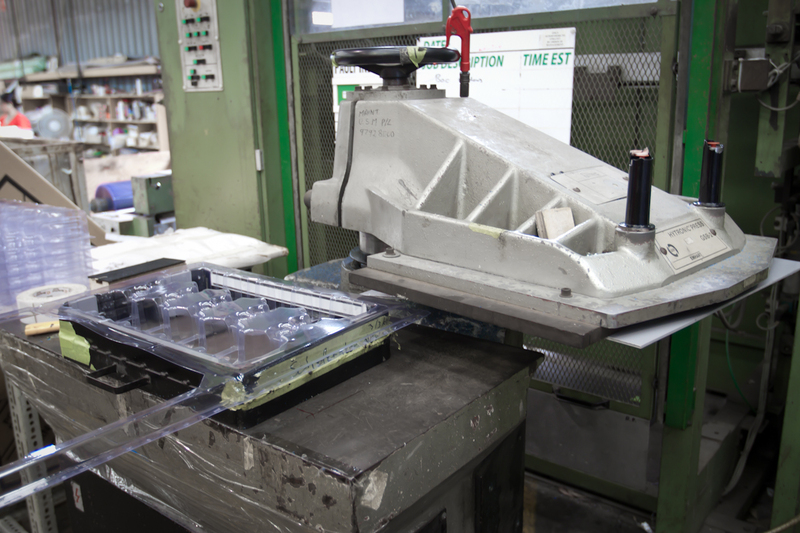 Warringah Plastics is one of the leading plastic manufacturers in Australia with specialist expertise in plastic fabrication. Our ultrasonic welding process works at a high 15 kHz to 40 kHz frequency which creates low amplitude vibrations that create heat by way of friction between the plastic materials joined. The concentration of this energy creates maximum weld strength and is the fastest heat sealing technology available. This process chemically fuses the thermoplastics together providing a tough bond. Our ultrasonic welding is great for HDPE welding! Heat Bending is a fast method to get different angular folds in plastic making it great for custom brochure holders, display cabinets and stands and point of sale displays. 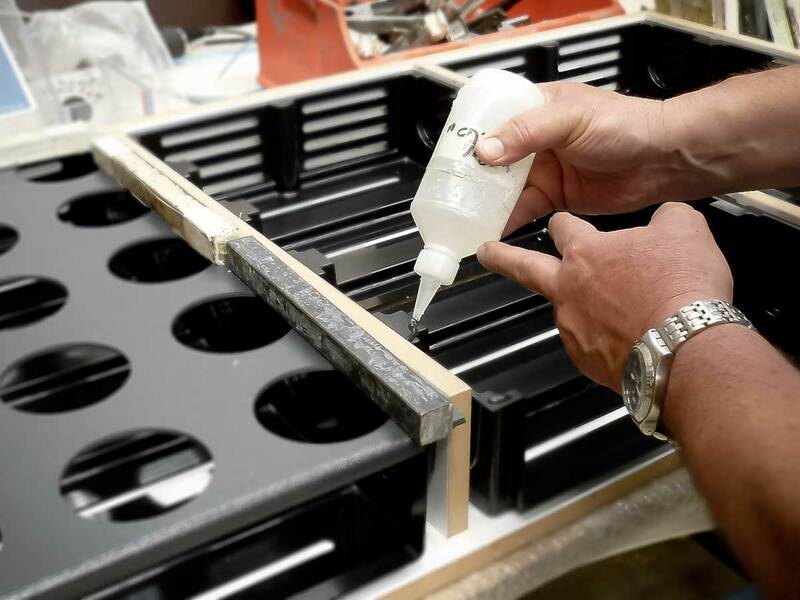 Plastic gluing can include acrylic fabrication, perspex fabrication, PVC fabrication, ABS fabrication, polycarbonate fabrication and HDPE fabrication. Diamond polishing is perfect for straight edges on both coloured and clear acrylic. The automated process is fast and accurate providing a consistent edge with its diamond tipped cutter. Flame Polishing is a great way of polishing acrylic by exposing the material to a flame which melts and smooths the surface. Flame polishing also reduces the chance of sharp edges making your product safe for retail display. 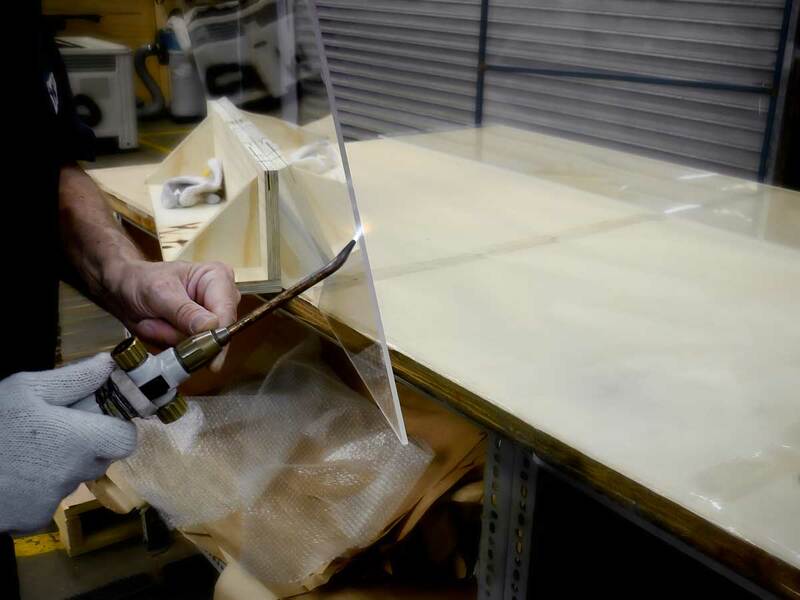 Our experienced operators can get you the clearest of finishes. We have an array of drill presses and drill-bits for small volume runs. If you want custom shapes, tight tolerances and larger production runs or a large quantity of holes/cuts you might want to consider using our 3 and 5 axis routing machines. A clicker press is a machine that cuts shapes out of rolls of thin plastic making it perfect for mass production and repetitive holes. 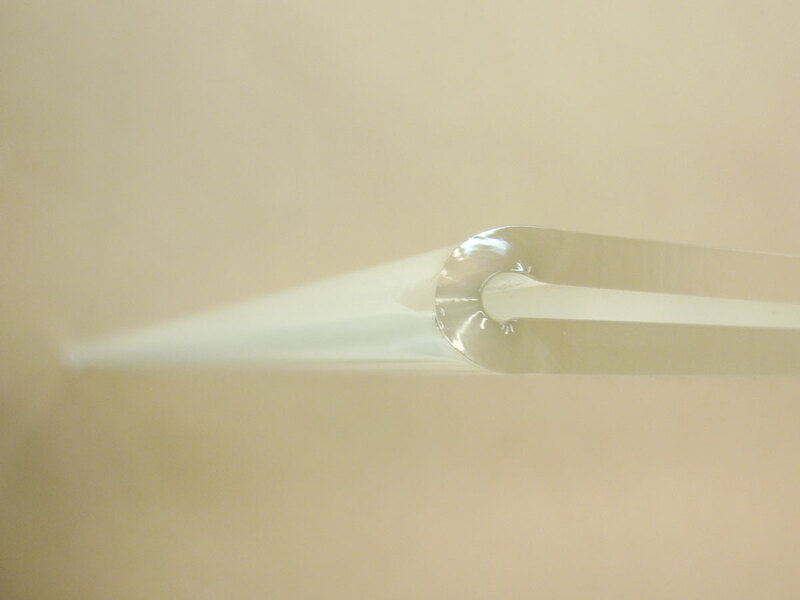 A knife tool which acts essentially like a press is used to cut through the plastic.